Click here for info on DinoFest 2018. Below is the schedule of paleontologists presenting at NHMU's DinoFest 2018 with links to more information on their respective topics. 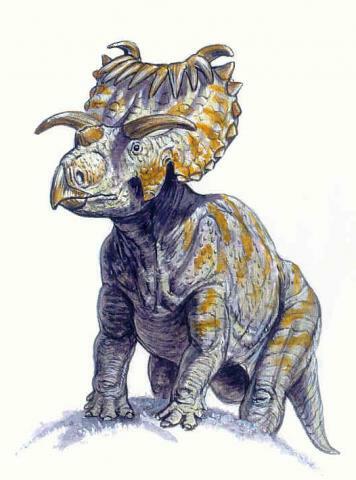 Image on upper right is Kosmoceratops who has only been found in Utah and is a new species to science announced in 2009. Return to DinoFest main page.